Looking back on Visualize Your World 2016 and what 2017 will bring! It’s that time of year again, the annual Visualize Your World tour is right around the corner! 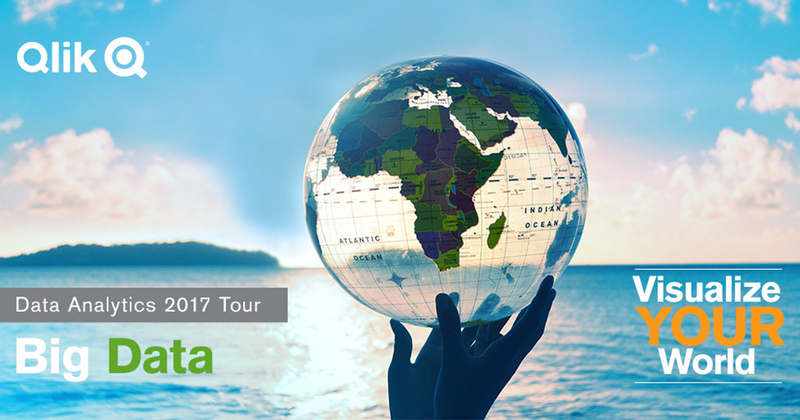 The tour will visit 28 cities across the Americas, Europe and Asia Pacific and running September 27 through November 16. This event is free to attend and will provide insights on the future of Analytics, Big Data, Cloud and IoT all in one place. This tour’s purpose is to connect people to their data, teaching them how to use the tools they need to unlock the stories their data can tell. With many different formats available to all types of learners, each event offers breakout sessions for beginners, experts and everything in between including networking breaks and partner showcases. Sessions range from building your first dashboard to deploying cloud analytics! With the Visualize Your World conference, attendees learn about the value of Qlik and the importance of data analytics platform hearing directly from Qlik executives, Qlik product experts, Qlik partners and many others who are striving to get the most out of their data. Qlik will also be showcasing our latest innovations like Qlik Sense Cloud and Qlik Sense Cloud Business, a subscription-based service for groups and businesses, to create, manage and share analytics.